Our team really like comics. Our artists began their practice of drawing with the drawing of comic books and characters from comics. 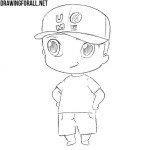 But we also like anime and chibi very much, and we also drew anime very often. 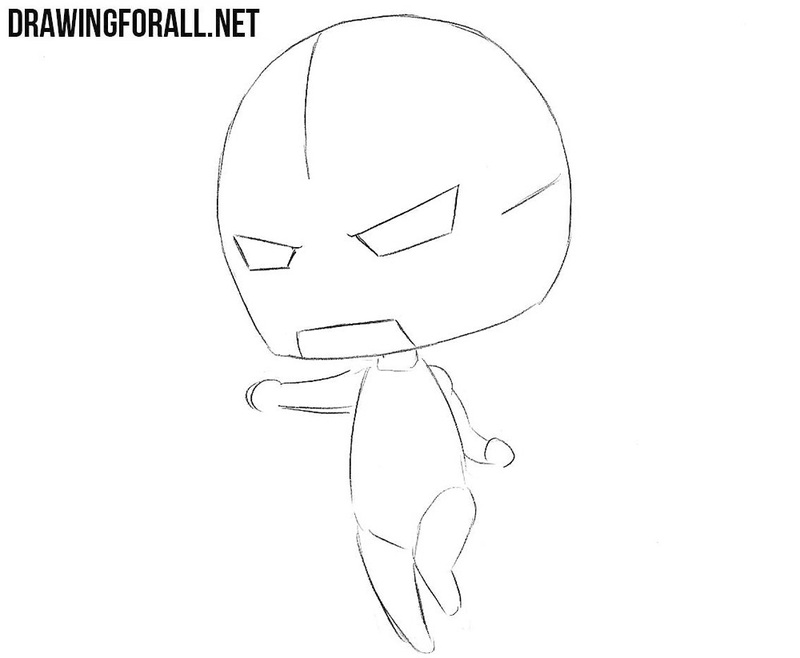 In this drawing lesson, we decided to combine the themes of comic books and anime, and created a lesson on how to draw chibi Iron Man. 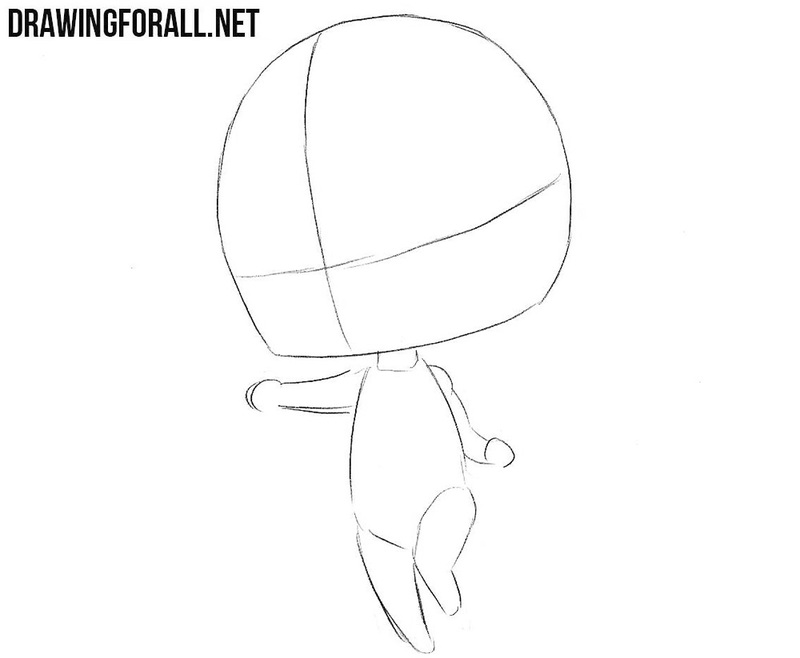 Like all lessons about chibi, this lesson begins with the drawing of a rounded head. After we outline the head, we need to sketch two lines of symmetry of the face. 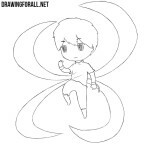 Now we need to sketch the outlines of the body, arms and legs. 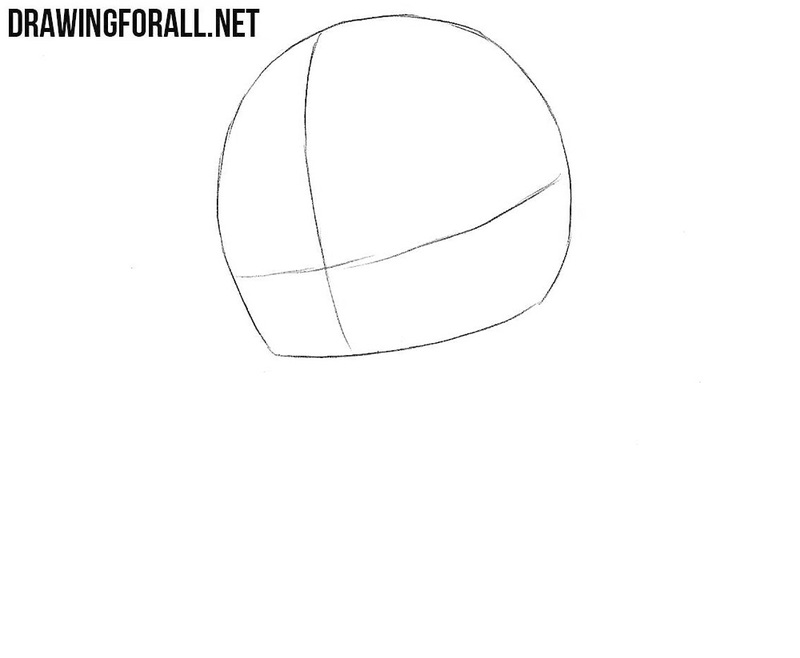 This is very easy, since we use very light lines and simple geometric shapes. Let’s take care of the details. First of all we will draw out the eyes and pattern in the lower part of the head (similar to the mouth). 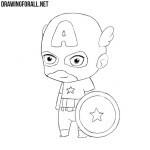 Draw out the outlines of the head with clear and dark lines. Draw the patterns as in our example and go to the next step. Now let’s move to the torso. 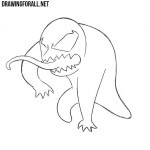 Here we will need to draw out the outlines of the torso and patterns on the torso. Now the arms. Here we draw out the outlines of the arms and details of the metal armor. The same thing you need to do with the legs – that is, draw out the outlines of the legs and patterns on the legs. Try not to get lost in the details. 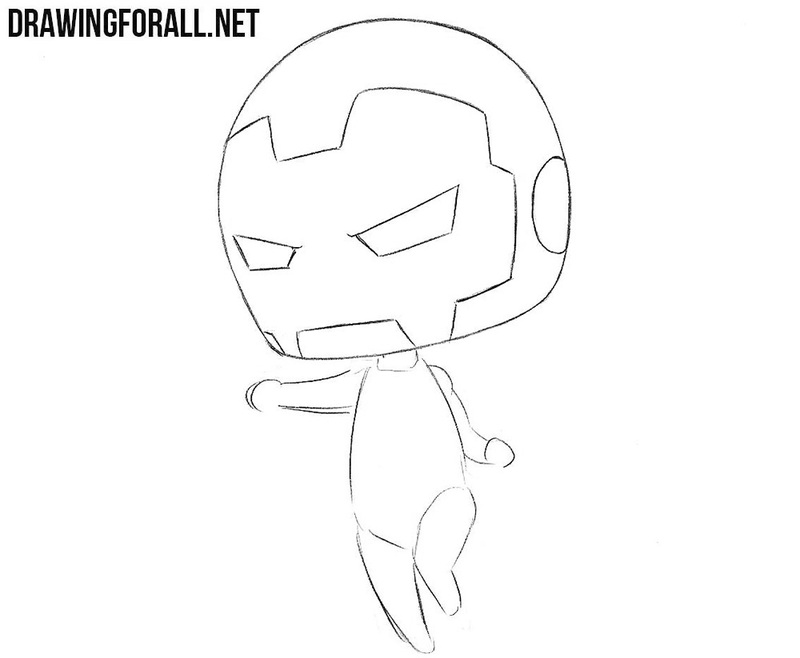 It was a very simple tutorial in which we showed you how to draw chibi Iron Man. 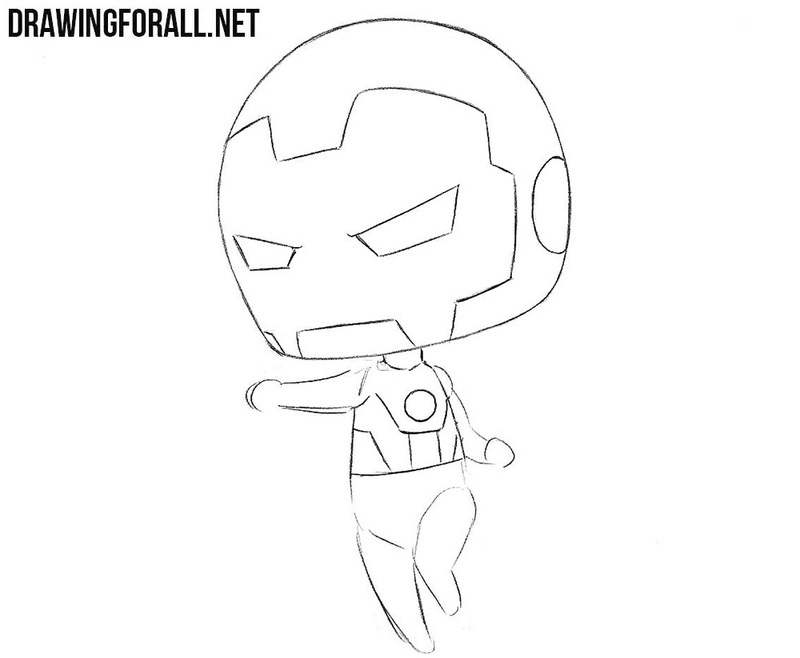 If you liked this lesson, but it seemed too easy for you, then visit the lesson on how to draw Iron Man in comics style. 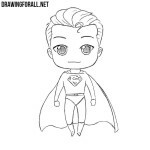 And as you probably already know, our site is full of different drawing lessons about the most different characters of comic books and anime.